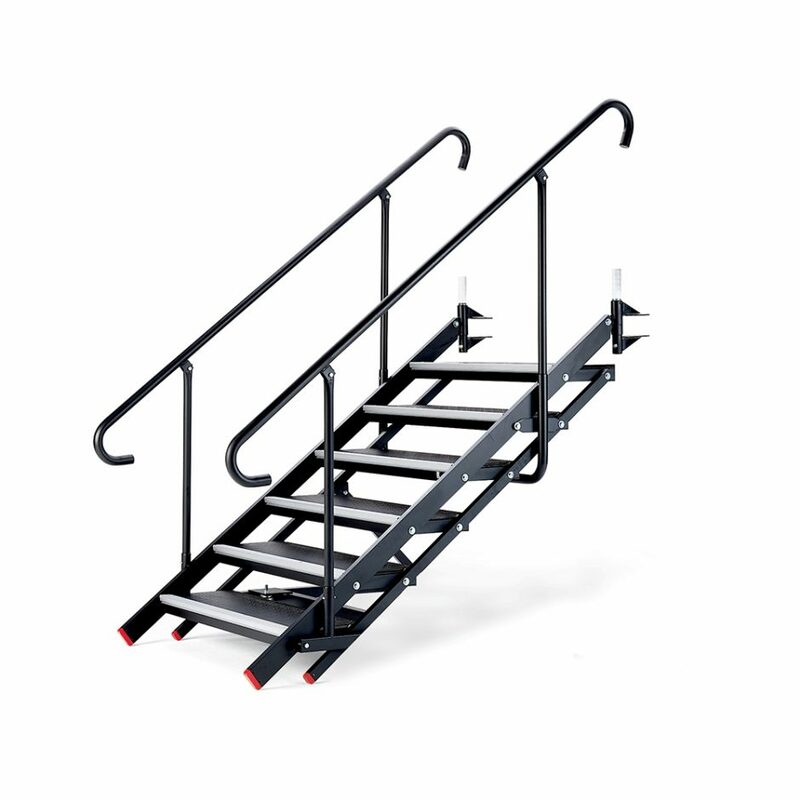 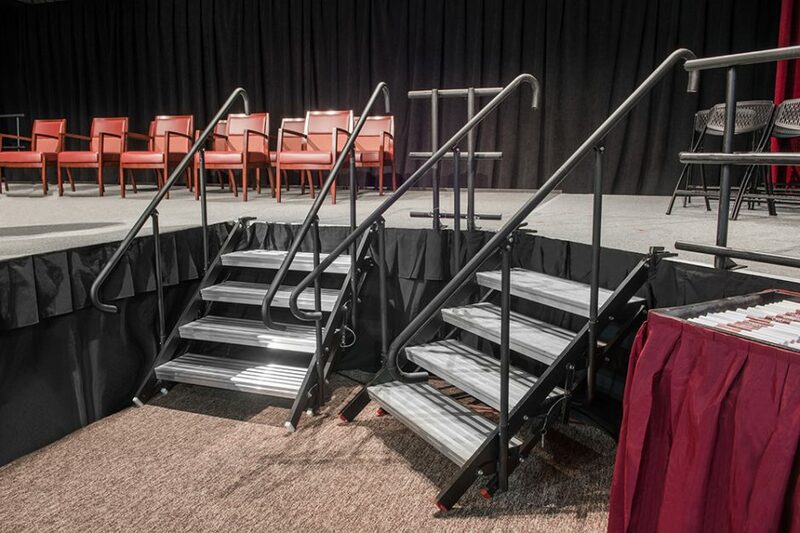 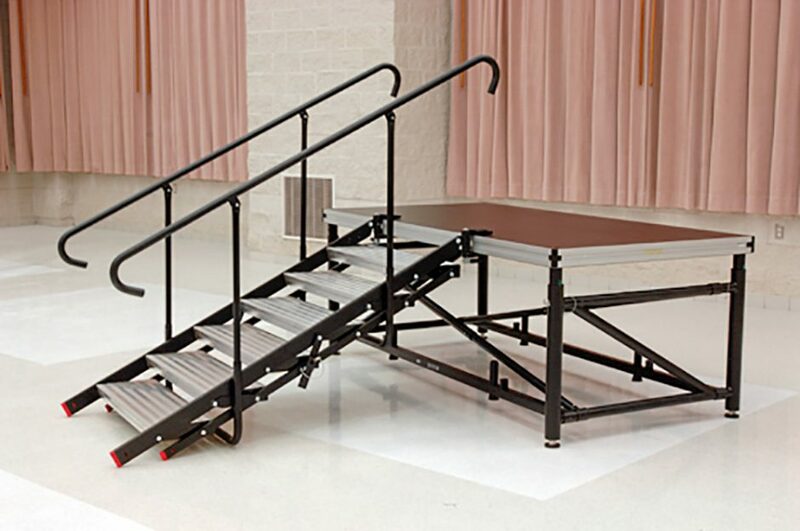 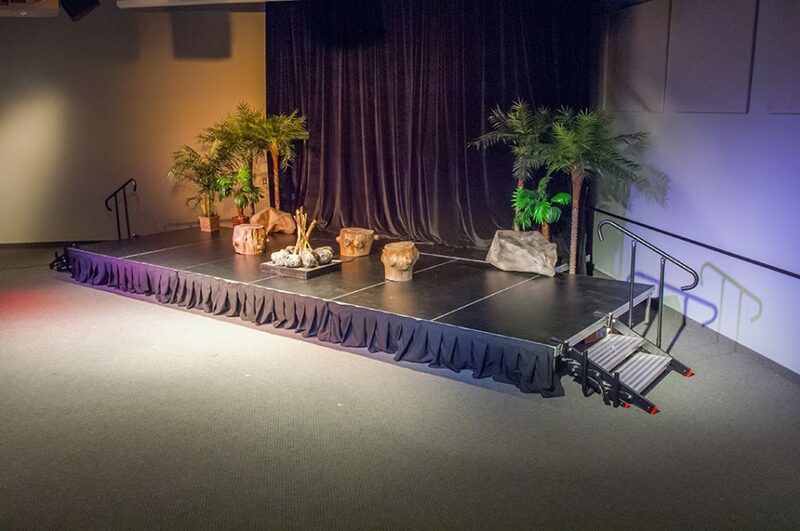 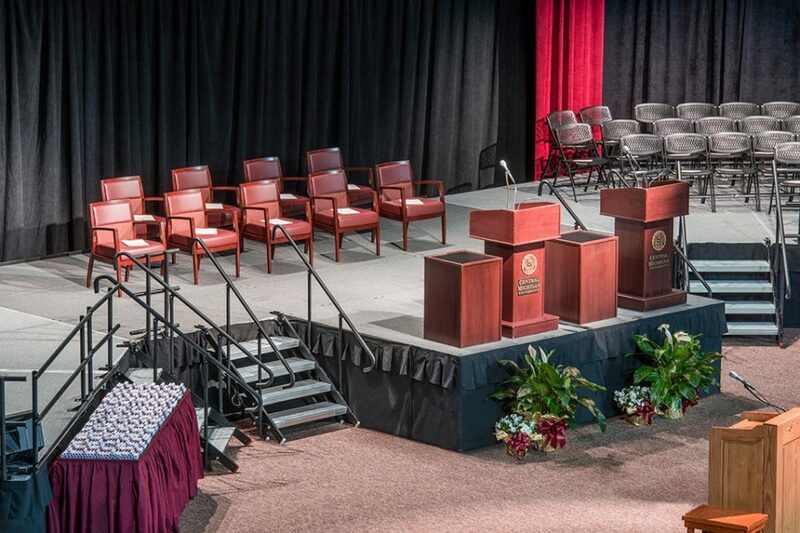 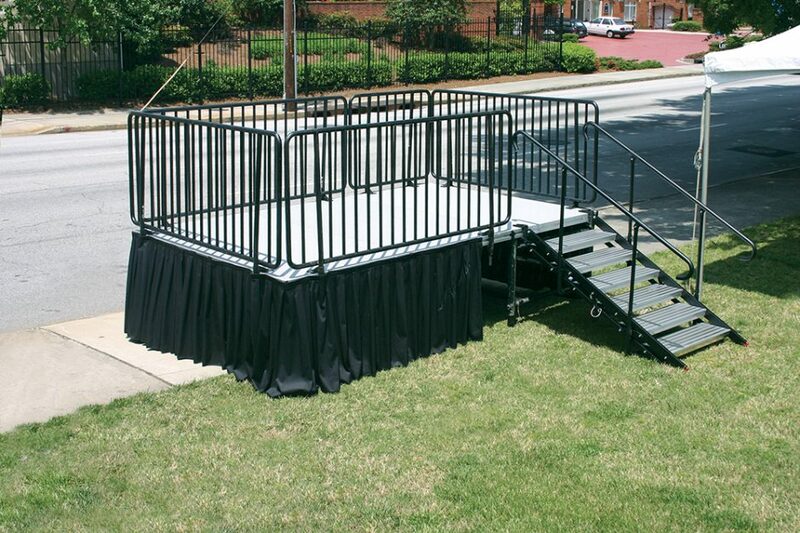 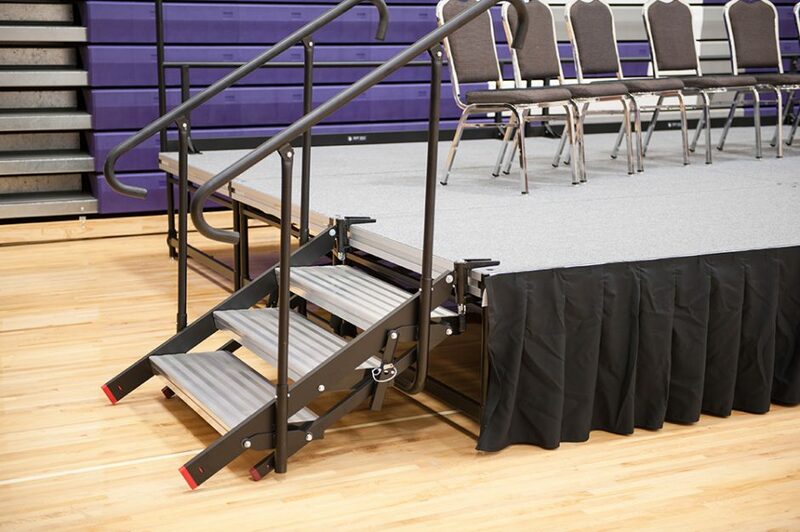 A stair option for your event that is easy to set up, and easy to store. 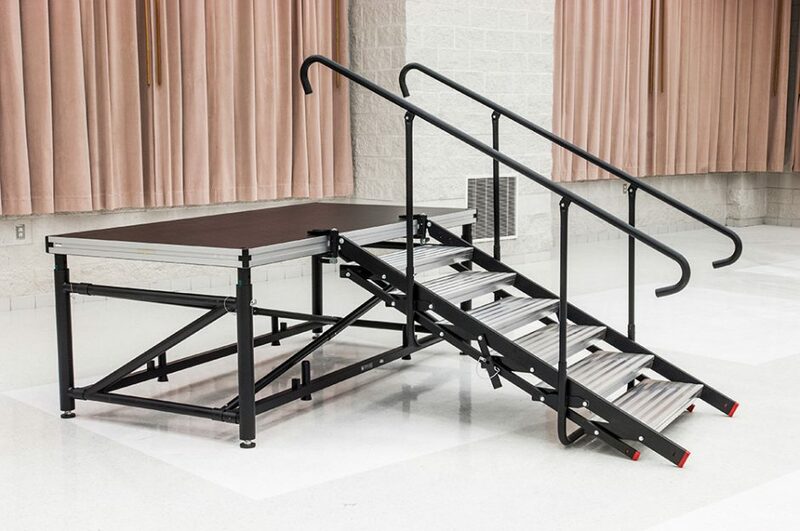 These portable stage and riser stairs firmly attach to the edge of our honeycomb deck. 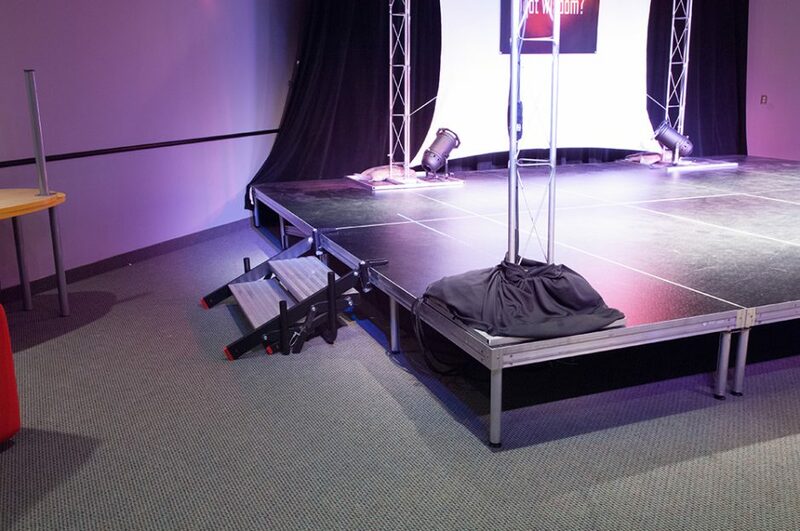 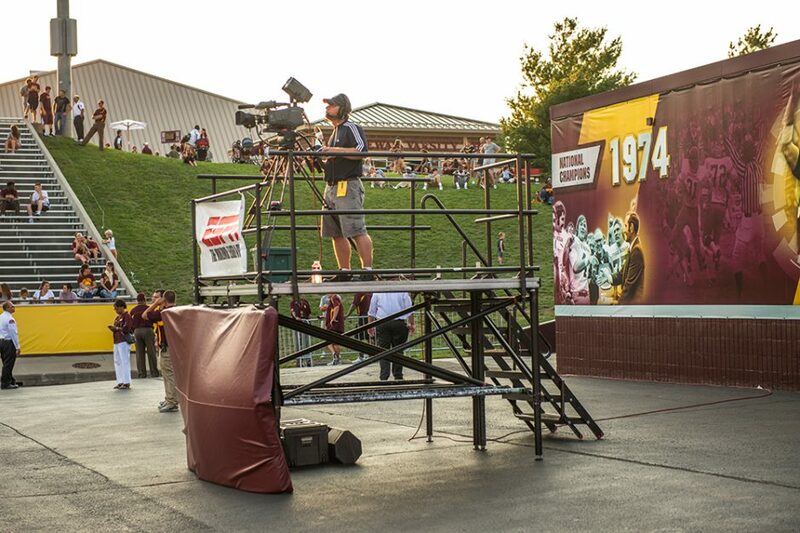 The rise automatically adjusts based on stage height to ensure an even rise at all heights. 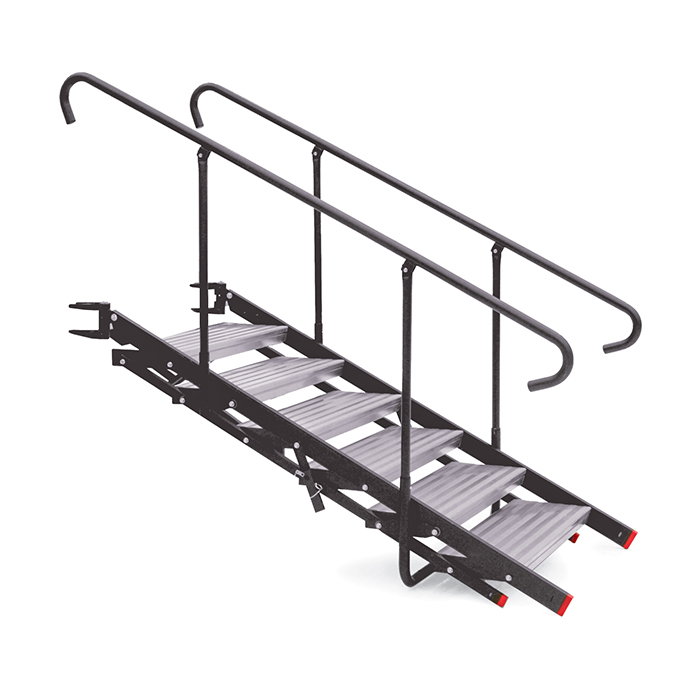 The stairs do not require tools to attach. 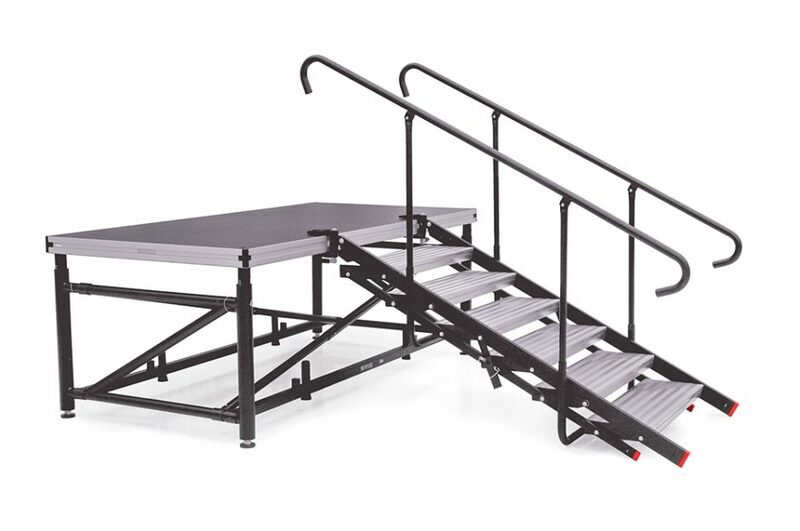 When not in use, the stairs fold flat for easy storage. 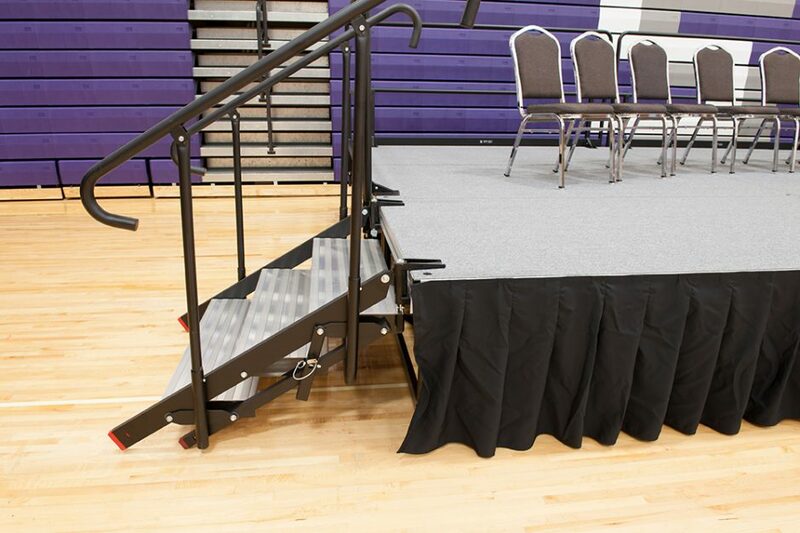 The standard tread surface is mill aluminum with non-slip nosing for safety.